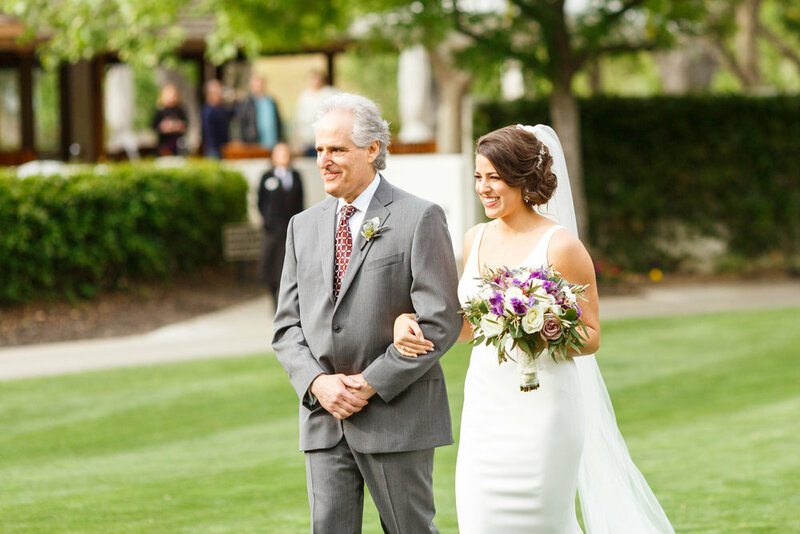 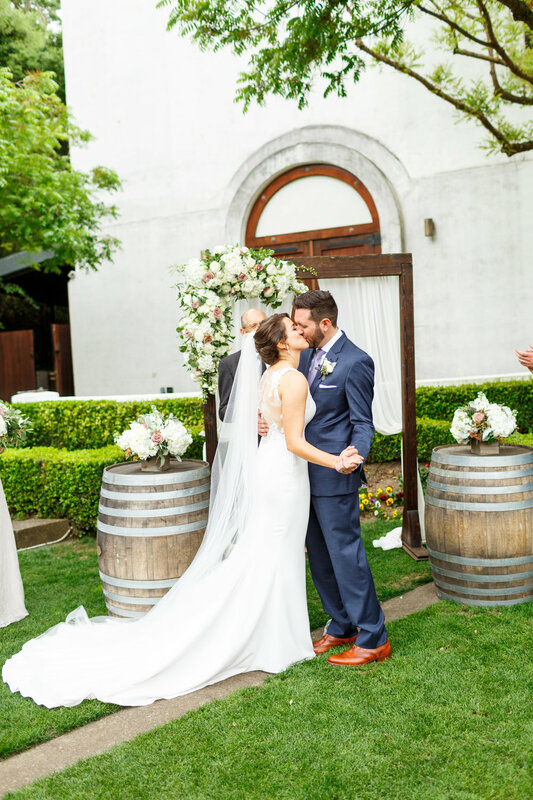 Romantic vintage spring wedding at Wente Vineyards in Livermore California. 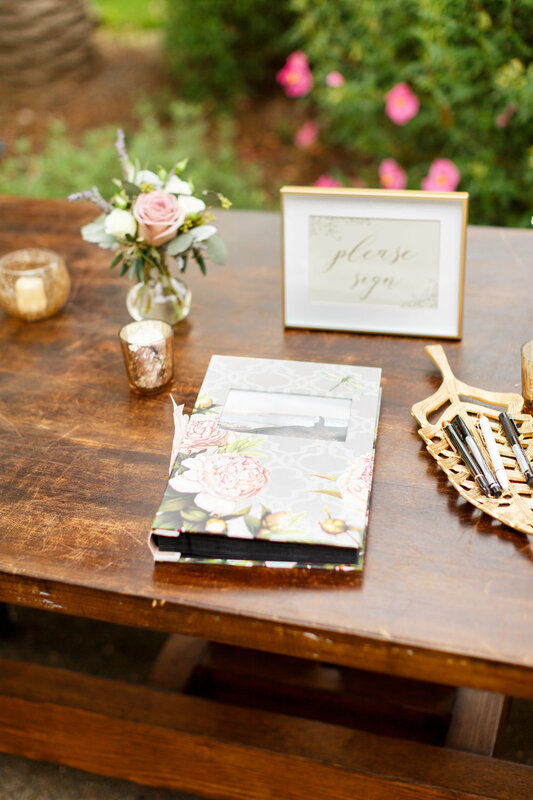 Beautiful textures, colors, rustic greenery, and vintage touches made this wedding really stand out. 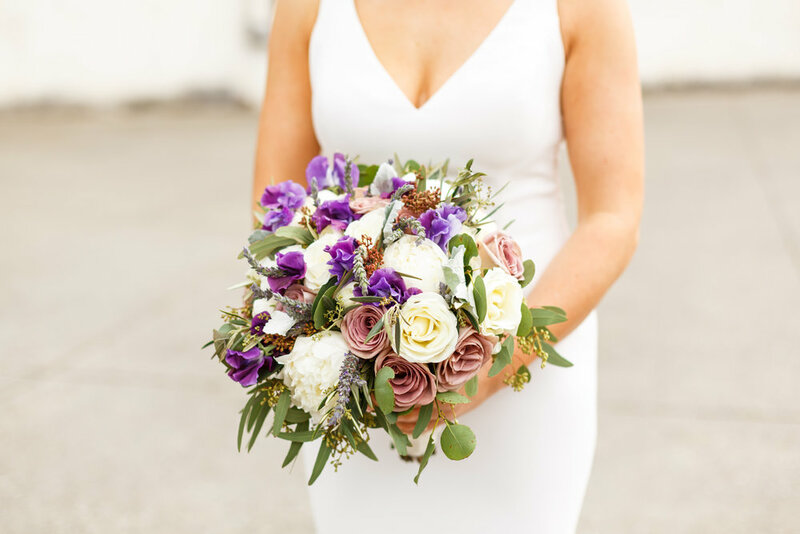 The brides stunning bouquet had white peonies, dark purple sweet pea, dusty lavender roses, lavender, dusty Miller, olive, and eucalyptus. 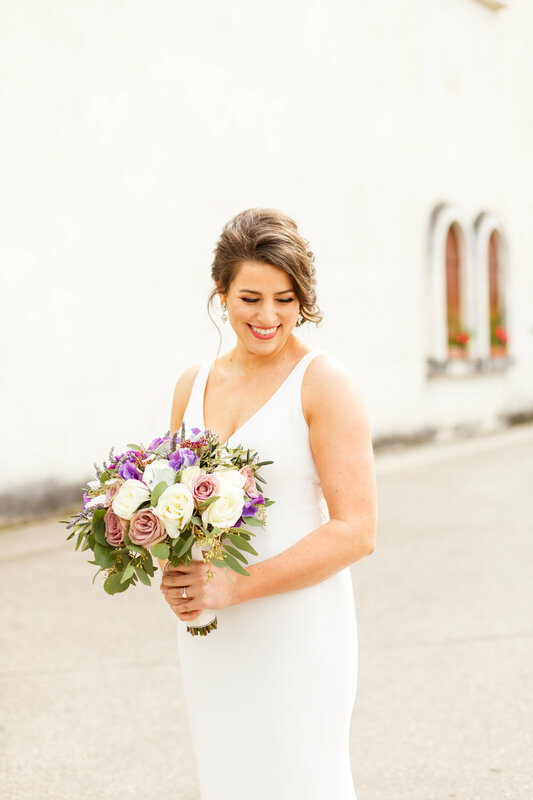 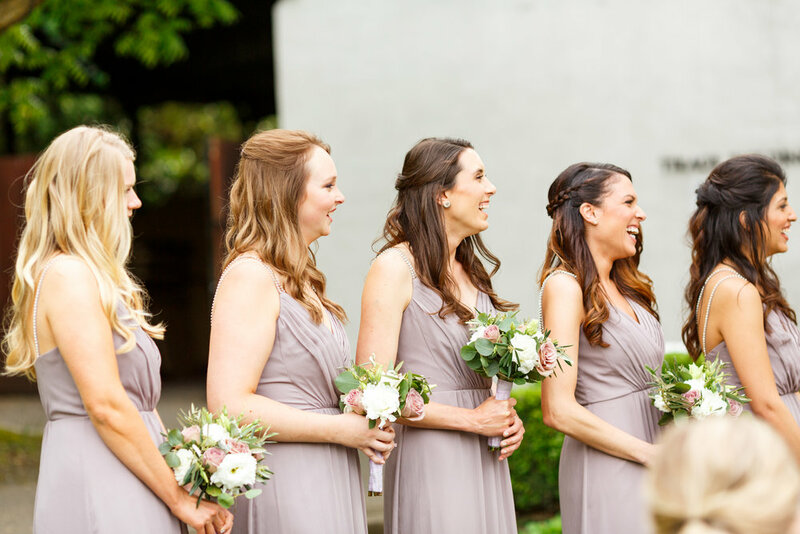 Her bridesmaids wore lovely grey lavender dresses and carried bouquets of white peonies, dusty lavender roses, olive, and silver dollar eucalyptus. 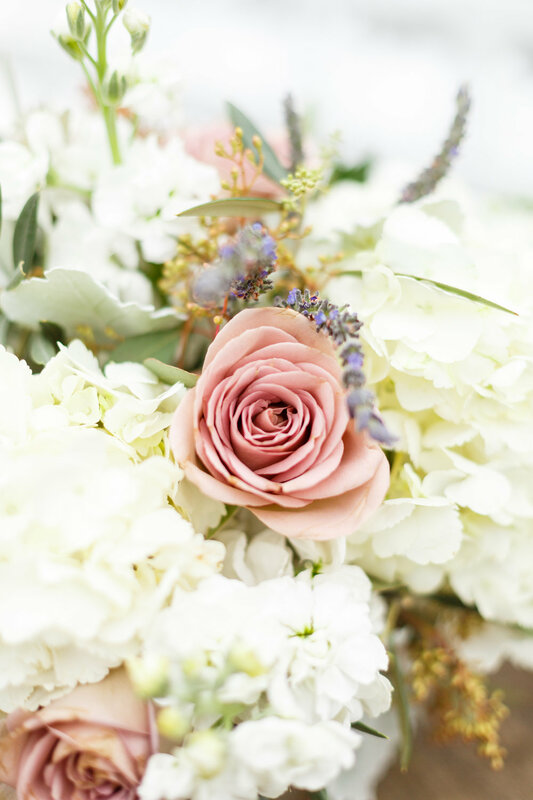 The Groom and his Groomsmen wore perfectly rustic boutonnieres of tea roses, lavender, eucalyptus, and dusty Miller. 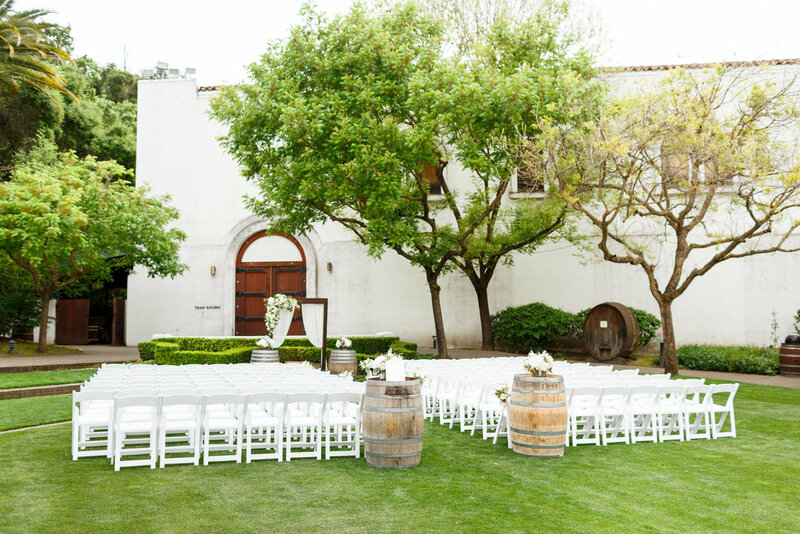 The ceremony, held outside on the Terrace Lawn was romantic and vintage. 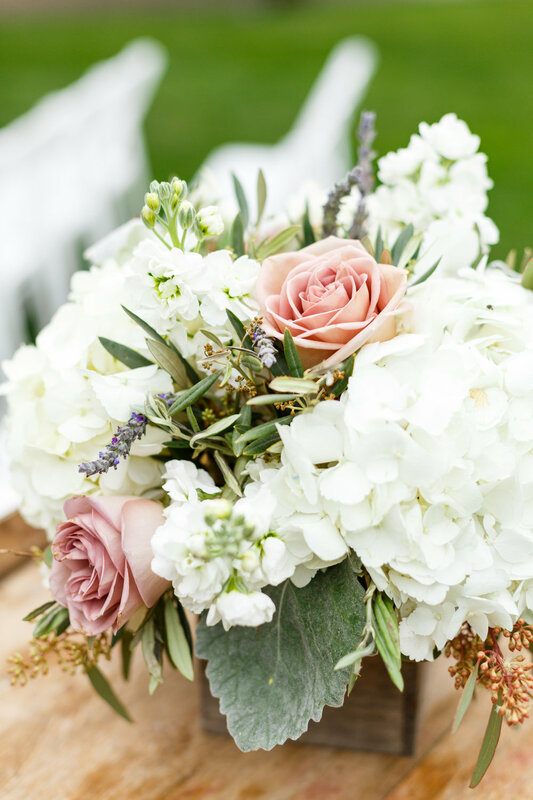 using The Flower House Altar with ivory drapery was decorated with a full and lush corner piece with white hydrangea, ivory tea roses, lavender sprigs, olive, seeded eucalyptus and pops of dusty lavender roses. 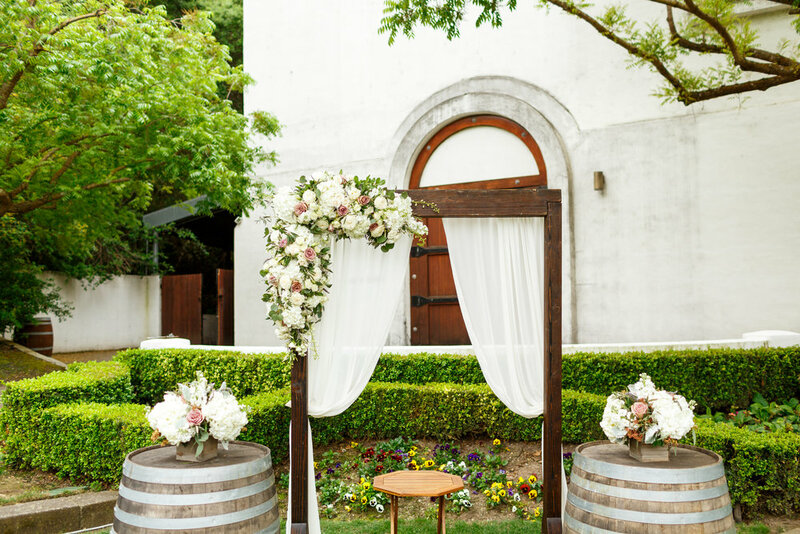 The Aisle was decorated with loose rustic hanging jar arrangements with roses, greenery and lavender sprigs. 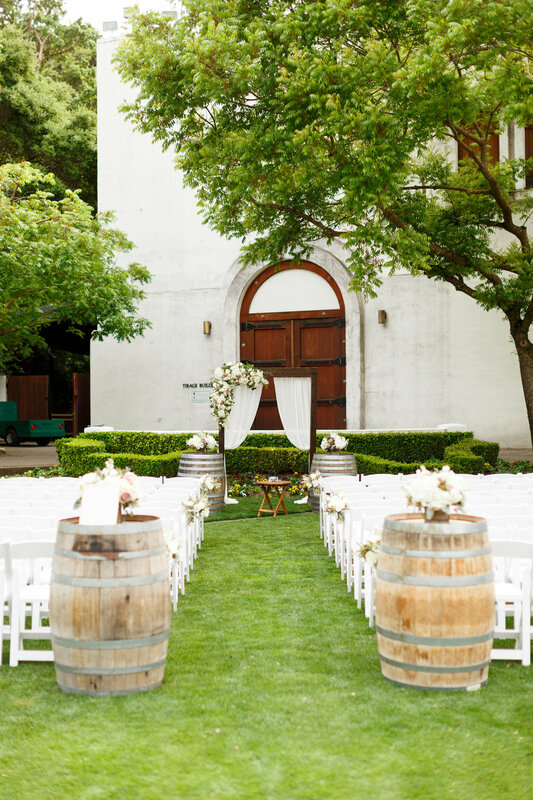 Wine barrels at the beginning of the aisle and the altar used low lush centerpieces from the reception guest tables. 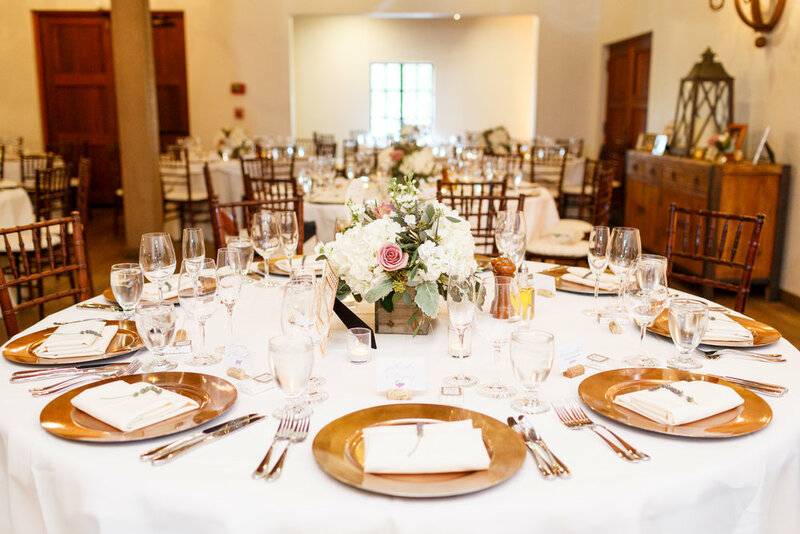 The reception was held inside the Cresta Blanca Event Center. 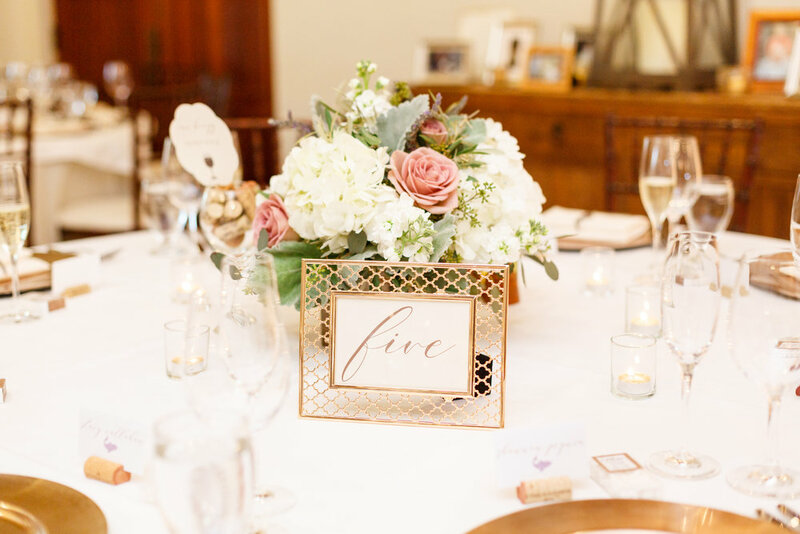 Low lush centerpieces in rustic wood boxes with hydrangea, dusty lavender roses, lavender and greenery filled the guest tables, gold chargers and picture frame table numbers added to the vintage feel of the reception. 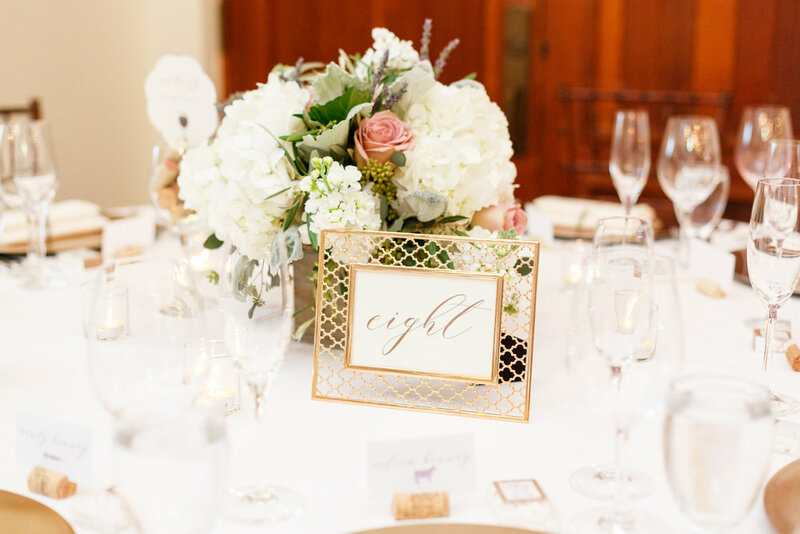 The wedding photos were captured by Mason & Megan Photography.